Home > News > Company News > FADIOR selected as Cabinet Category Only Partners for Milano Expo 2015! 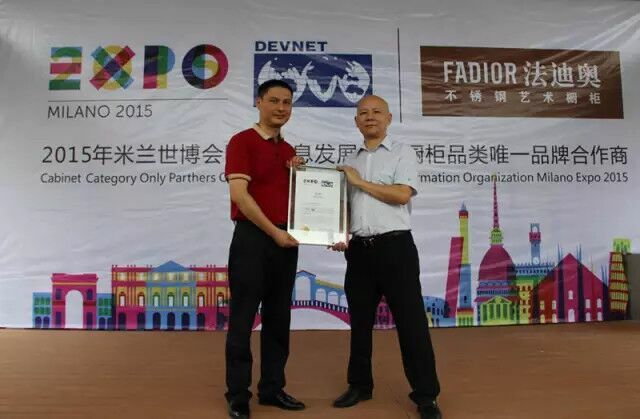 FADIOR selected as Cabinet Category Only Partners for Milano Expo 2015! 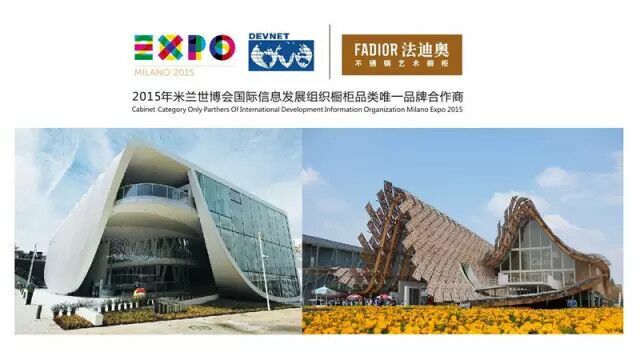 FADIOR selected as Cabinet Category Only Partner for Milano Expo 2015! 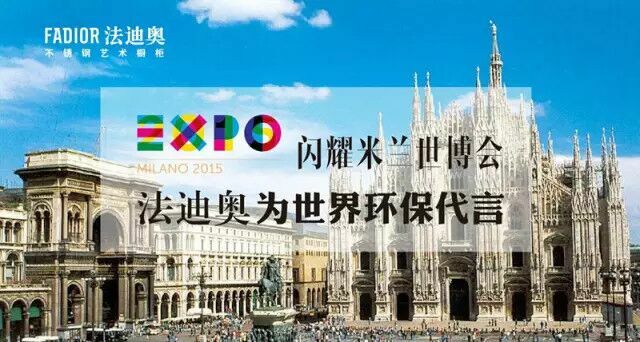 May 1st 2015, EXPO MILANO 2015 held in Italy, Milan officially kicked off the world fashion capital. 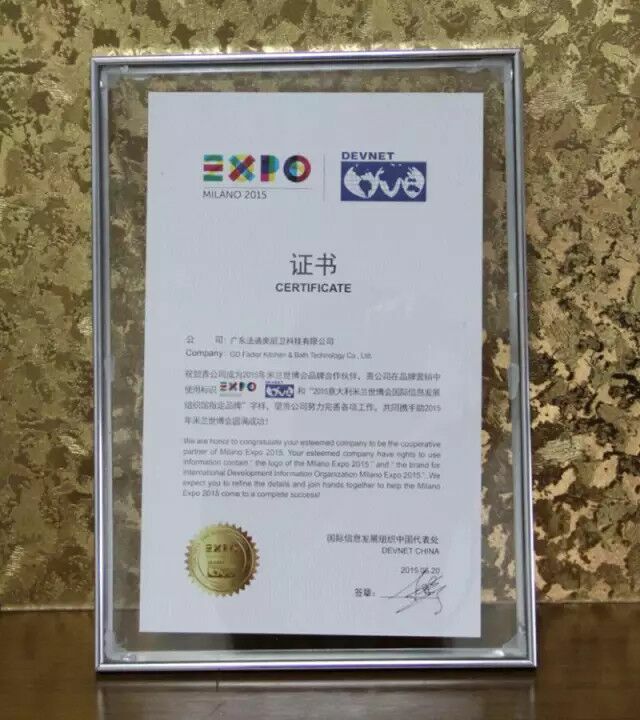 Fadior stainless steel art cabinet as the Cabinet　Category　Only Partners of International Development Information Organization Milano Expo 2015, the only designated cabinet brands, shine debut. Fadior, stands out from the many cabinets enterprises, become the Expo 2015 Milano international information development organization only designated brand cabinets, in addition to its itself in the industry enjoyed a popularity and influence and the overall strength of the representative of the industry, but also in food grade 304 stainless steel substrates used in the production of the whole cabinet, and environmental health "zero formaldehyde production management wisdom made philosophy and Milan, Italy, the World Expo will be the theme of" nourish the earth, life energy "add radiance to each other, highly fit. Fadior, global attention home safety, let families around the world away from interior pollution caused by illness and family tragedy, this theme halls and cycle show "Reunion" short similar. The expression of the Chinese people's attention to family and folks aroused the world audience resonance. Fadior, and many other exhibitors Milan Expo Chinese enterprises, to a historical height of the "Centennial Expo, thousands of years of tradition, peoples attention" and "national brand rejuvenation", in the Milan Expo mainly to show the unique style of Chinese enterprises, the Centennial Expo brand regression of historical heritage. Forest felling, sand storms, fog, haze, the global abnormal warming, facing the global scarcity of resources and sustainable solutions, to show the Chinese people and the nature "harmony" philosophy, to the language to the people of the world to show Chinese culture and brilliant Chinese economic sustainable development prospects, highlighting Chinese enterprises and Chinese entrepreneurs in dealing with global issues in wisdom and responsibility of play. Fadior as a disseminator of the world green cabinets of leading brands, the fifth generation cabinet of pioneer and leader, "zero formaldehyde stainless steel safety cabinets and industry representatives to join Milano Expo, on the world stage show brand from China, and assume the responsibility of civil society, speak to the world's environmental protection, gas in the world. Fadior Successfully Exhibited at 2014 Dubai International Building & Construction Show!